Amazon and Flipkart have emerged as the joint leader in the ELI of Q2 CY 17. This is the second consecutive quarter when they have tied on the top spot. RedSeer has released its quarterly e-tailing leadership index for the April-June Quarter. The index is a view on how customers perceive the e-tailing platform and does not represent the market share dynamics. As per the study, Amazon and Flipkart have emerged as the joint leader in the ELI of Q2 CY 17. This is the second consecutive quarter when they have tied on the top spot. Amazon’s rise from last few quarters is attributed to a better top of the mind recall which is a direct outcome of the heavy marketing effort put by Amazon, an area where Flipkart has been significantly conservative. On Trusted brand metrics Flipkart still has a one-point lead over Amazon, this lead is much higher in smaller cities when compared to Metros. 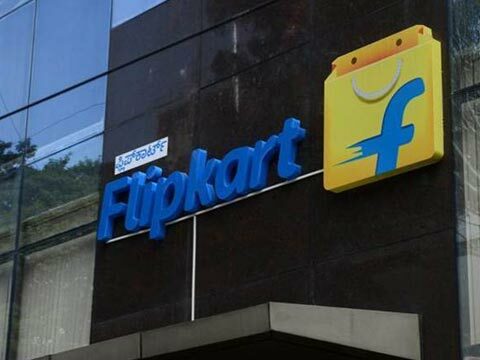 An area where Flipkart has slipped one point behind Amazon is the “great Experience”. Amazon has outperformed Flipkart on the web and app experience for the first time. It’s a measure of how customers rate their experience of using the app/web for shopping. This in conjunction with the impact of “Prime” has led to Amazon’s better score. But on a crucial area of post delivery experience, Flipkart still maintains the lead which is one of the most important levers for the first time buyers. The other parameters like delivery speed has been rated equally well for both the players. Another key parameter has been the, Best Value, an indicator of value for money and meaningful assortment. On overall basis this parameter also ties for both the players, but Flipkart has a slight lead on the price competitiveness. In last 2 quarters there has been a slow but consistent shift in the customer base. The share of transactions coming from non metros has been consistently increasing. As per RedSeer now the non metros have considerably higher transactions compared to the metros. Amazon through its prime offering has been able to capture the leadership in the metros, while Flipkart has been leading in the non metros. Reliance-Jio seems to have played a considerable role in the increase in number of transactions from the smaller cities. Cost of creating a Brand: Shopclues is most efficient followed by Flipkart In their pursuit to lead the market and create a higher GMV standing all the players have been burning a significant amount of cash. But how does this unit economics stack up and which players are more efficient then the others. To demystify this the report analyzes the unit economics of the market. e-tailing consumer base: city mix is shifting In last 2 quarters there has been a slow but consistent shift in the customer base. The share of transactions coming from non metros has been consistently increasing. As per RedSeer now the non metros have considerably higher transactions compared to the metros. Amazon through its prime offering has been able to capture the leadership in the metros, while Flipkart has been leading in the non metros. Reliance-Jio seems to have played a considerable role in the increase in number of transactions from the smaller cities. In their pursuit to lead the market and create a higher GMV standing all the players have been burning a significant amount of cash. But how does this unit economics stack up and which players are more efficient then the others. How video analytics helps in analyzing retail store?